The number North American biomethane projects in 2016, is growing! In this posting we take look at the development of biomethane upgrading plants which purify the methane output from anaerobic digestion plants, making it a high value, quality controlled, fuel, potential to provide an enormous greenhouse gas emissions reduction. A "plain vanilla flavor" biogas plant, becomes a "biomethane" plant as soon as the upgrading equipment is commissioned. Europe has been upgrading biogas plants and building new ones, which will "upgrade" their biogas from the start, quite rapidly. In fact, a transition is beginning to take place from the on-site use of biogas energy in gas-engines for supply electricity into the local grid, to the upgrading of biogas for off-site uses, including as a transport fuel for the road haulage industry and also for general gas grid supply. One reason for that is the reduction in favorable Feed-in-Tariffs, which have offered government subsidies in some nations, but it also raises the efficiency of the use of the methane gas energy, and in turn therefore also raises the sustainability of anaerobic digestion energy (biogas) systems. Until recently there was less interest in this technology, in the US and Canada than in Europe. However, since the start of this year (2016), the outlook (as highlighted in the following articles). looks more promising. Our first article below is about developments in the biomethane produced by Clean Energy Fuels Corp., which by their estimation could yield a whopping 90% reduction in carbon emissions when displacing diesel or gasoline. Our second article is about the fact that construction has begun on a Canadian (British Columbia) biomethane project which will provide renewable natural gas to fuel the city’s waste-collection trucks. An added benefit here will be that the emissions from natural gas fueled refuse collection vehicles is much lower than that of diesel fueled vehicles. These trucks that spend all their working lives in congested streets and urban highways will now make the air healthier for residents as well. Our third article and final article below is included to show that the market is ready to buy the low carbon emission fuel from biomethane plants, in Canada. In fact, there is strong pressure from energy utility companies to offer sustainable green energy to their customers. That means that investors who are thinking of dipping their toes into a new "green energy market" could do well to look at biogas plant and especially biomethane upgrade investments. Clean Energy Fuels Corp. announced it will be the first company to commercially distribute its signature biomethane fuel “Redeem” across 35 stations in California. said Andrew Littlefair, president and CEO of Clean Energy. He added the company’s goal is to produce and distribute 15 million gallons of its Redeem fuel in its first year, assist California meet its climate change goals and prove the fuel is a viable alternative fuel source. Clean Energy hopes to keep its California retail infrastructure flowing with Redeem as the state’s fuel infrastructure grows, said Harrison Clay, president of Clean Energy’s renewable fuels division. He added Clean Energy will focus on California’s initial market, which is economically beneficial to the biofuel, before rolling out its signature biogas into other states. 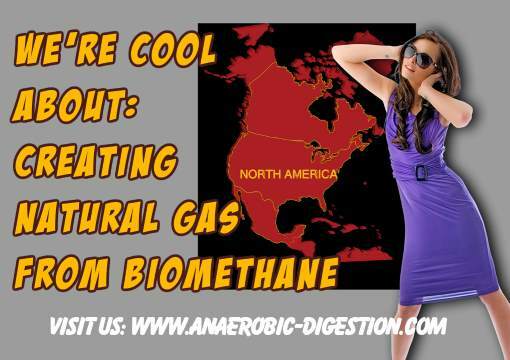 The biomethane is produced from extracting methane gas from Clean Energy’s landfills and other waste streams, cleaned and processed by a production facility and deposited into the interstate natural gas pipeline. It is available as compressed or liquefied natural gas forms. California Air Resource Board estimated the biomethane could yield a 90 percent reduction in carbon emissions when displacing diesel or gasoline. “Clean Energy’s new Redeem product will help cut greenhouse gas emissions on our roads while providing customers a lower-priced fuel when compared to gasoline or diesel,” said Mary Nichols, board chairman of California Air Resource Board. The plant is being implemented as the second phase of the Surrey’s Rethink Waste Program. “The city of Surrey wanted to close the loop,” Oostelbos said. According to Oostelbos, the city has a local objective to divert more than 70 percent of waste from the landfill through alternative reuse, increased recycling and material recovery programs. The anaerobic digester (AD) technology being implemented is Orgaworld’s Biocel, dry AD equipment, already implemented by the company in the Netherlands. Oostelbos said the process requires very little pretreatment. The gas-upgrading equipment provider for the project is still under negotiation. The projects anticipated service commencement is in early 2017. “It’s the first and largest of its kind,” Oostelbos said. British Columbia utility FortisBC is seeking additional biomethane suppliers for its renewable natural gas program. The subsidiary of St. John’s, Newfoundland-based Fortis Inc. said in a news release it is seeking an additional supply of up to one petajoule, or enough natural gas to provide heat and hot water for about 10,000 homes annually. The company is seeking submissions from landfills, wastewater treatment plants, farms and agricultural businesses, and other biogas producers. "Demand from our renewable natural gas customers has resulted in the need for further biogas supply in our system,"
said Doug Stout, vice president of energy solutions and external relations. "Our focus is to help put waste to good use by working with suppliers to develop this energy source for our customers."